Worship Time: Sundays at 9:00 a.m.
We, as part of the community of Christ, strive to live our faith, to worship, and to share God’s love throughout the world. This congregation has existed since 1922, and its Pastoral Charge affiliations have moved east and west, as numbers fluctuated. It was amalgamated with East Trail United Church to form a Charge stretching from East Trail to Emerald Mines (east of Salmo). This became too large an area and in 1952, the two charges split into East Trail and Fruitvale. In Kootenay Presbytery, the Beaver Valley-Salmo Pastoral Charge was constituted in 1972 and had continued to the present time. This pastoral charge consists of St. Paul’s United Church (Fruitvale, B.C.) and Salmo United Church. St. Paul’s United Church was built in about 1939 and was part of Fruitvale Pastoral Charge (1937-1939) which had included Castlegar and Robson. From 1939 to 1952, it was part of Trail-Fruitvale Pastoral Charge. It was again part of Fruitvale Pastoral Charge (including Beaver Falls, Montrose, Salmo, Ymir and other points) from 1952 to 1959. In 1959, Salmo and Fruitvale became separate charges, though Beaver Falls, Montrose and other points remained connected with Fruitvale Pastoral Charge. In 1972, St. Paul’s United Church (Fruitvale, B.C.) and Salmo United Church became part of the Beaver Valley-Salmo Pastoral Charge. In 1970 – 1971, St. Paul’s United Church sold their property and entered into joint ownership with St. John’s Anglican Church in the current building. The building is operated by a Joint Management Committee with members from both denominations. During national discussions to unify the United and Anglican denominations, Fruitvale United shared ministry with St. John’s Anglican Church in Fruitvale. When national unification talks broke down, so did the local proposal, then each retained their separate congregations and worship times. 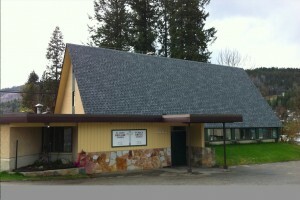 In 1972 Salmo was realigned with Fruitvale but continued to worship in Salmo at a shared site with other denominations. The Pastoral Charge became known as Beaver Valley/Salmo, and served the three villages of Montrose, Fruitvale and Salmo. In 2003, St. Paul’s United Church entered into the Communities in Faith Pastoral Charge and recently changed its name to Beaver Valley United Church. Beaver Valley United Church is no longer a congregation of Communities in Faith Pastoral Charge. With the changes of demographics and circumstances, at the request of this congregation and by action of Kootenay Presbytery, Beaver Valley United Church was reconstituted in a pastoral charge known as Beaver Valley Pastoral Charge as of June 30, 2016.